During this 4-hour tour, our local expert will take you to many of the city's iconic landmarks. The cycling route covers over 8 areas of the city centre, each conveying its own character, charm and contrast. Witness the lifestyle of the community at the fruits and vegetable market of Chow Kit, and a quiet traditional village. Explore the city's captivating heritage at several places of worship and historical square. After that, cycle to the bustling Petaling Street bazaar, and the magnificent skyscrapers of KL. 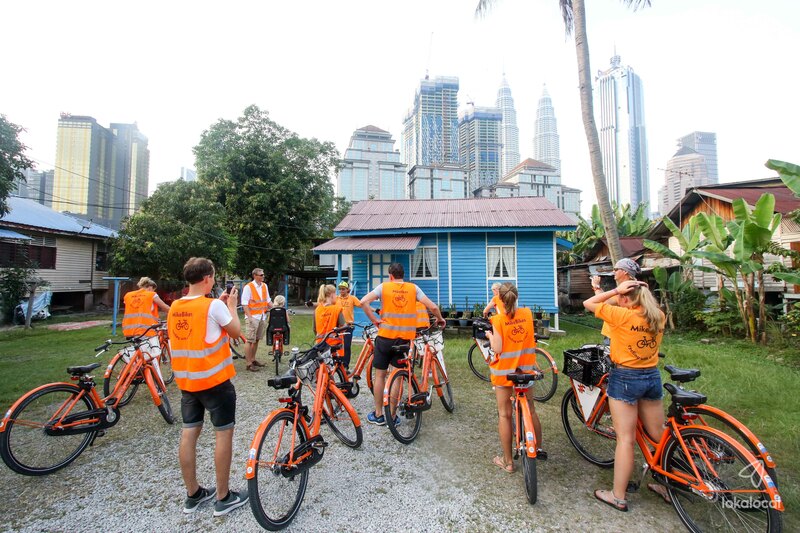 This bicycle tour will give you an insightful look into the history and culture of Kuala Lumpur. Our grand cycling tour starts at 8am and ends at 12pm. You will be escorted by an experienced local guide to over 50 attractions along a 14km cycling route. Ride down the little alleys and take in the wondrous duality of Kuala Lumpur - where colonial landmarks meet modern skyscrapers, and rural traditions meet urban vibes. Brunch with drinks will be included.